The laboratory contains a single-degree-of-freedom spring-mass apparatus with variable magnetic damping for experimentation on mass free damped vibrations, forced damped vibrations, forced transmissibility, base excitation and vibrations due to rotating unbalance. 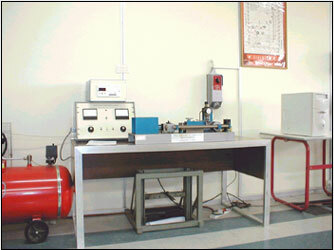 It is also equipped with vibration measuring instruments of moderate complexity for the dynamic testing of structures. These include accelerometers, amplifiers, exciters, signal generators, data-acquisition system and x-y plotters. Report title, course, your name, date lab performed, date lab due, date report submit­ted.• OBJECTIVE OF THE EXPERIMENT (1)Statement of objective or purpose of the experiment/lab. List the equations used for your lab calculations (if any). A sample of the calculations you performed to get your results. A listing of your MATLAB program (if any). List your conclusions. Include answers to all questions asked in the lab handout here. Make sure your answers are well explained. Your results, any problems you have had in this lab, your comments on the lab. Your active participation in the lab is crucial to the experience. Additional unique insight presented in your report may also be represented here. Please remember, it's what you put in your report that counts and not how much you put in it. Some of these labs require you to turn in MATLAB plots, do not turn in all that you have printed out, but only what has been asked for. If you are not sure about what you need to turn in, please ask the engineer. Once again, remember that most of the points that you get for a lab come from your answers to the questions in the lab handout. Points may be taken off for grammar/spelling and sloppy presentation. The reports should be typewritten. PCs are available in the computer lab for word processing. 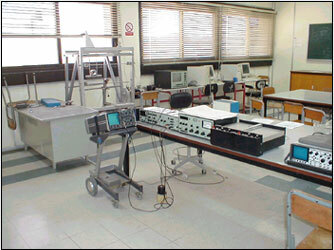 All students should know how to operate the equipment in the lab and take part in the execution of the lab. It will be reflected in your grades. Question/s about the labs will be asked on exams. Not specifics, but concepts, methods and techniques.